About Windows 11 download, update or beta installation. 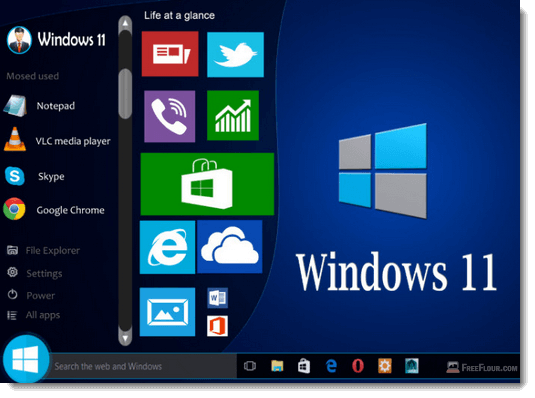 When to expect Windows 11 release date and what are Windows 11 concepts and reviews. There are tons of news and rumors about Windows 11 around the internet but no one has source or evidence to prove what they said were true. Microsoft never disclosed any news about Windows 11. It’s unlike their usual routine of announcing news back in the time during the creation of Windows 7, Windows 8 and Windows 10. Microsoft Windows 10 may very well be the final and end of series. So, we have summarized what we have heard so far and listed them below. As most of them are from sources claimed to be from Microsoft insiders with no one to prove if they were real. Til officially proven or announced, they are still just rumors or fake news that might never going to happen, or perhaps they will. Well, at least we know something. Microsoft confirmed there will be no Windows 11? Back in 2015, when Microsoft grandly presented Windows 10, Microsoft has confirmed that there will be no Windows 11 in the future. Windows 10 will be final as it stands now. However, this doesn’t mean that Microsoft has given up on its main product which has profited them for over 30 years and used globally in more than 90% of computers ever existed. Windows 11, Windows 12 or whatever version or new name you want to call it, it’s just a matter of name. Microsoft said that instead of making up new names for the new Windows, they will bring all the new ideas, features and updates into Windows 10 and still calling it Windows 10 even if it takes to change into something completely different from how it was when it first released. So, you can expect these updates for Windows 10 (when there is a big one) to be very huge, so huge that it can completely facelift the entire user interface as if it’s a new version of Windows, and would still be called Windows 10. It’s actually a good thing for us, the end users, because we no longer need to keep buying new licenses whenever a new version of Windows is released. But how are they planning to continue making profit from Windows OS? Well, we certainly don’t know. Besides, Microsoft has confirmed that there will be two major updates release for Windows 10 which will land in early 2017. This is an official announcement from Microsoft itself. There is also another news from Microsoft about Windows 10 anniversary update (a much bigger update) which they called it Redstone part 2 (RS2) will most likely be available in Spring 2017. Based on these statements, it’s pretty safe to say that there will be no Windows 11 in 2017. Windows 11 download release date beta update rumors? 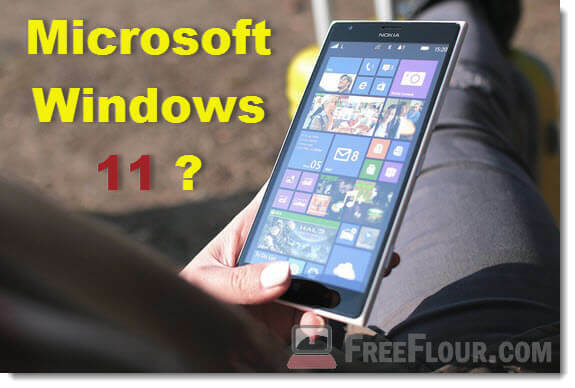 April 1st 2016, tons of blogs and tech news sites, even the most popular ones were posting news leak about Windows 11 64 bit and 32 bit being announced along with its expected features, concepts, release date and even reviews (ridiculous). Some even picturized Windows 11 on a Microsoft Lumia 965. Most of them said that Microsoft has given up Windows 10 and every effort now will be focused into Windows 11 (which is obviously not true now based on recent Windows 10 updates announcement from Microsoft). Expected features such as direct login to desktop, easier and faster access to power and custom color and font options (don’t we already have those? ), were also included in these posts. Every each of these sites cited the same source, a source no one knows if it’s legit. Well, since the news leak was on 1st of April, I would say that it could very much be an April fool’s joke released by who knows who claimed to be from Microsoft’s insider. Til today, there hasn’t been any news about Windows 11 and even the most prominent authors suggested that Windows 11 won’t be here any time soon. Anyway, they are all just rumors. Believe it or not, it’s your choice. Maybe Microsoft hasn’t made their decisions yet, who knows if they have a plan already for a future Windows, or perhaps they have already changed their idea and wanted something totally different from what we called today – the Windows OS. Til then, stay tuned.